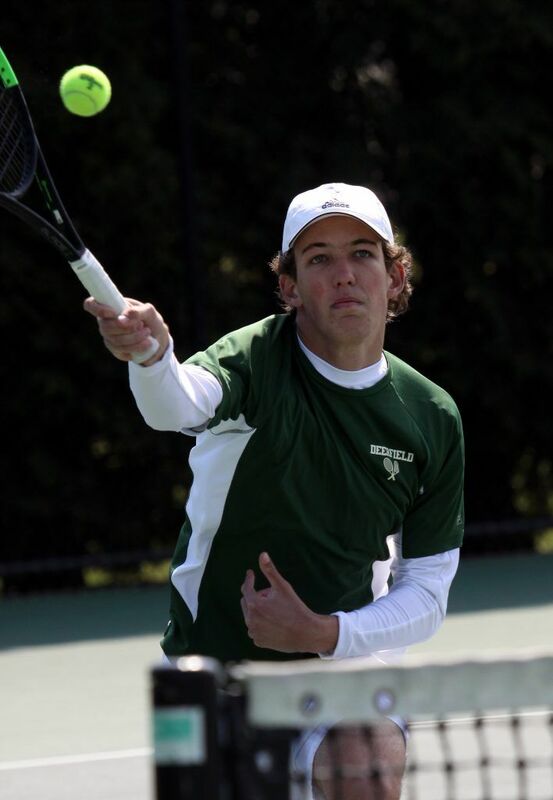 The Deerfield boys varsity tennis team had another dominant day on Saturday, winning 6-1 against Taft in Watertown, CT. Saturday’s win extends the team’s current winning ways to two straight matches. 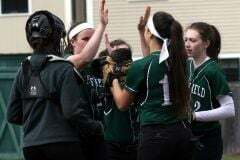 Earlier in the week, the Big Green defeated Kingswood-Oxford on the road, 6-0. Deerfield swept all three doubles contests using strong groundstrokes, aggressive net play, and solid serving. At #1, Auersperg/Pathapati defeated their Rhino oppoentsn 8-3; Sarachek/Yao closed out their opponents 8-4; and Ji/Bronckers remain undefeated at #3 by winning 8-3. In singles, Deerfield continued to out-grind their opponents and won all their matches in straight sets on courts 2-6. At #2, Pathapati remains perfect in dual match play after weathering the pace of Leo Li to defeat him 6-4, 6-0. Though he was pushed at the end of the second set, sophomore Achille Sarachek stayed mentally tough and out-rallied Jack Kreisberg to win his match at #3 singles 6-1, 7-5. At #4, Eli Ji was steady and solid as always, winning 6-1, 6-3 against Scott Noh. Adrian Yao was steady from the baseline and came through 6-3, 6-0 against Marcus Valenta at #5. Senior Jeffrey So, playing at #6 in his first Varsity match, outplayed Lucas Escallon 6-1, 6-2 using deep groundstrokes and aggressive volleying. In the closest match of the day, #1 Alfi Auersperg fell to lefty Henry Molson 6-1, 4-6, 10-6. Auersperg battled back from 1-6, 1-4 to bring the match to a third set superbreaker. It was exciting to see him claw his way back into the match. So far this season, the boys varsity tennis squad is 3-1 and finished third at the Kingswood-Oxford tournament. 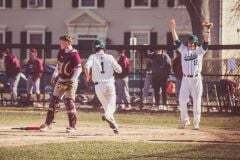 Deerfield will next get to play a home match as they take on Loomis on Wednesday, 4/17 at 3pm.